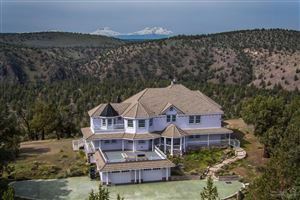 Crooked River Ranch, located in Terrebonne, OR, covers 10,000 acres of rural residential, recreational and commercial property, of which 9,900 acres are divided into 2646 privately owned lots. The remainder of the acreage consists of common and community property, along with buildings and equipment, which are owned by the Association. The panoramic views of Mt. Bachelor, The Sisters, Mt. Jefferson to Mt. Hood are spectacular no matter what direction you look. Turn to the east at sunset and you can see Smith Rock shining in the sunlight.